AppStoreMetrix is globally available now! We made it – AppStoreMetrix is globally available now! 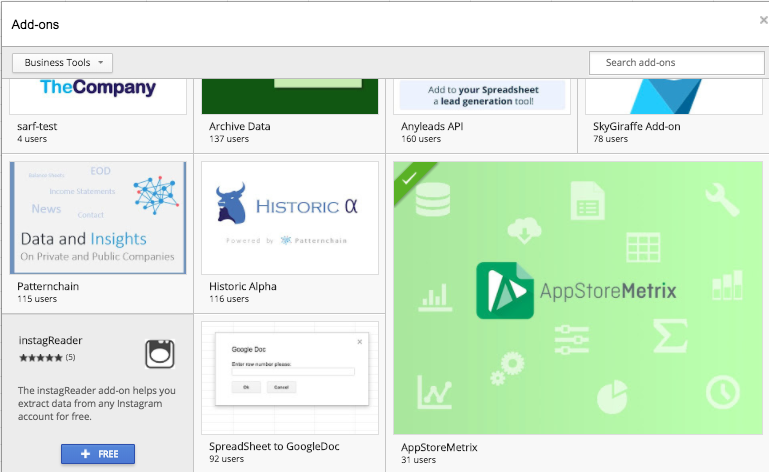 Install the Google Sheets add-on directly from the Google Webstore and get 50 percent off a yearly professional license. For more details please have a look at our launch offer website.